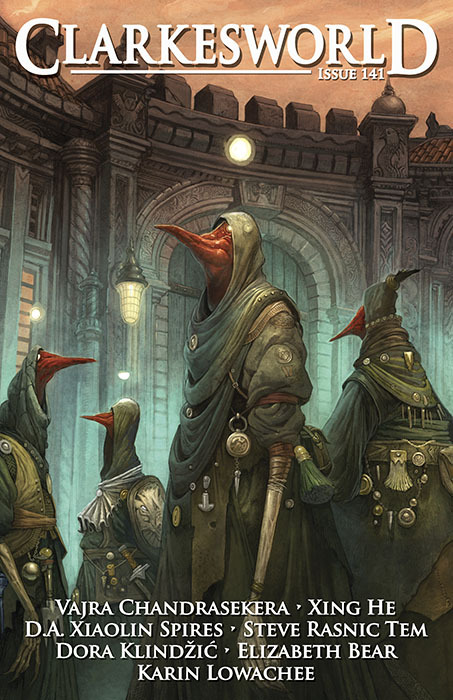 "A Space of One&apos;s Own," by Steve Rasnic Tem [bio] (edited by Neil Clarke), appeared in Clarkesworld issue 141, published on June 1, 2018. Pro: Cedric is still in love with Pauline, and, at the end, we seem to learn that she was murdered in their apartment—or maybe killed by being in the wrong place during a resizing. The only happiness he knows is in drug-induced dreams in his apartment. The ending makes it unclear whether he’s ever coming back from this one. Con: : This story is completely depressing. This society has no hope at all, and things are so bad that the most optimistic interpretation of the ending is that he died. It’s hard to believe the population is growing so fast that they need size changes this frequently.